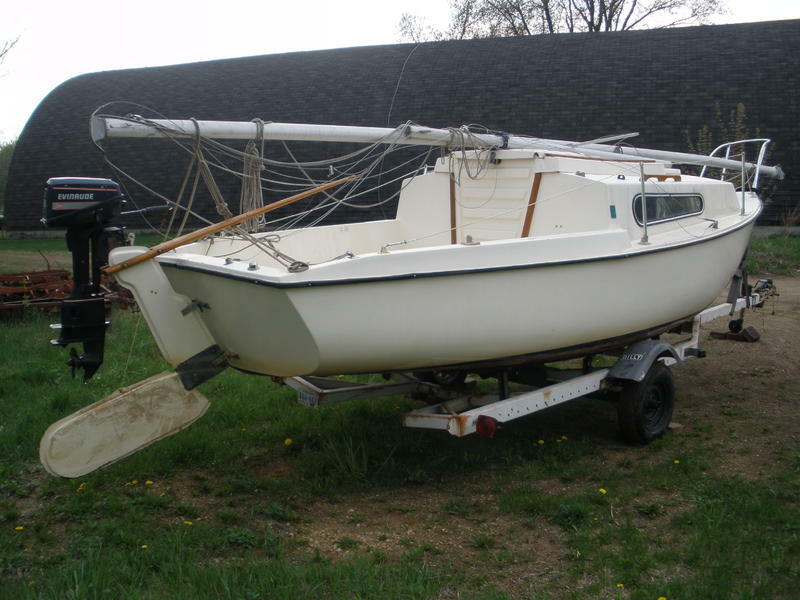 This is a great daysailer or trailersailer. She draws under 2′ with the 600lb swing keel in the up position, and kick-up rudder in up position. She points surprisingly well with the keel down. She has lived in freshwater for all of her days. 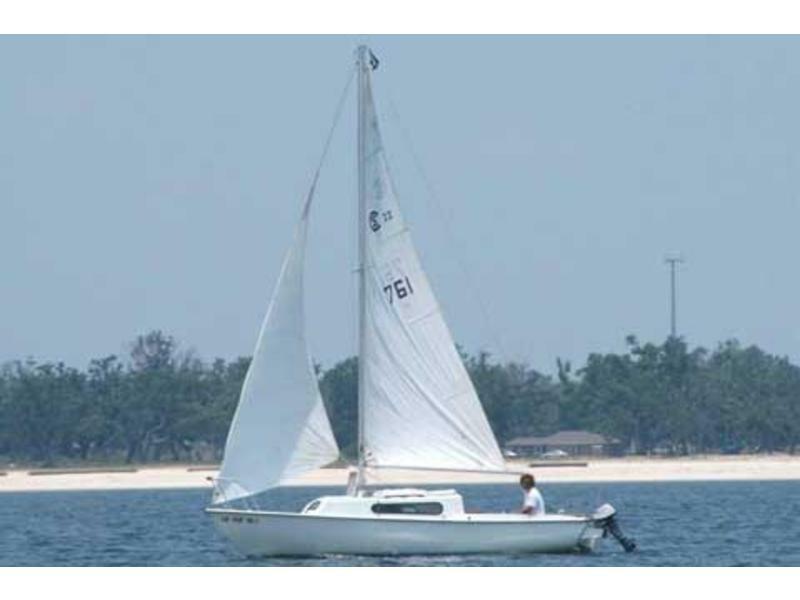 She comes with a Dilly trailer, and is one of the most easily trailered swing keel boats, because the keel comes all the way into the hull. She is rigged as a fractional sloop. 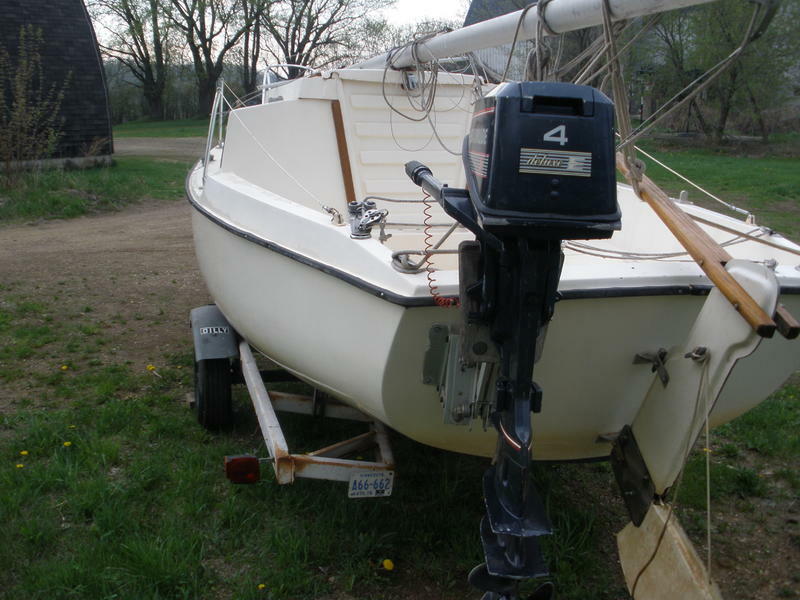 The mast is deck stepped with top and intermediate shrouds, headstay and backstay. She comes ready to sail with a main and genoa, running rigging, all in good condition.